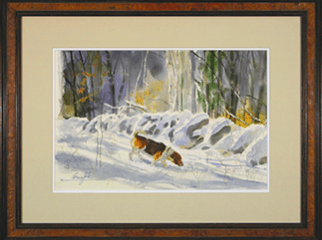 Since 1976, the Thomas Nygard Gallery collection has evolved to offer the finest quality art of the American West. 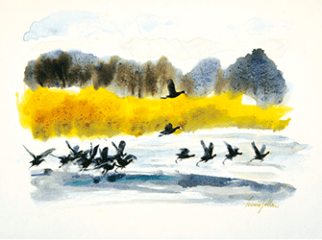 We specialize in 19th and 20th Century American art with an emphasis on historical art of the Northern Plains. The Gallery also displays paintings of the Taos Society of Artists, Rocky Mountains, Hudson River and California Schools. For over three decades the Thomas Nygard Gallery has worked with a broad array of clients, from the private collector to estates, corporations and institutions. The Gallery provides a full range of offerings including framing, conservation and restoration, appraisals, scholarship, curatorial management, packing and transport, photography, auction representation, acquisitions and sales. Guests commonly find works by such noteworthy artists as Bierstadt, Borein, Farny, Moran, OKeeffe, Remington, Russell and Sharp to name a few. 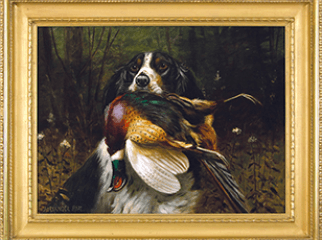 Also featured is the finest collection of Sporting Art, the genre the gallery was originally founded on and still maintains today. Montana works to our clients advantage for several reasons. While we are no more removed from the art world than a gallery in New York City we are fortunate to be situated in an outdoor mecca where one can participate in activities such as fly-fishing the finest blue ribbon trout streams in the lower forty-eight states. For those interested in history and culture, a visit along the Lewis and Clark trail is quite enticing. Most importantly, when you visit the gallery you are assured the privacy and the anonymity you deserve. Thomas Nygard served as President of FADA for two years and was a member of the Board of Directors for 13 years. He currently serves on the National Advisory Board of the Charles M. Russell Museum and Board of Trustees of the Montana Historical Society and its Executive Committee. The Thomas Nygard Gallery is always interested in purchasing individual works of art as well as complete collections and estates. We respectfully offer you our assistance in the field of collecting. We encourage your inquiries and invite you to visit us. 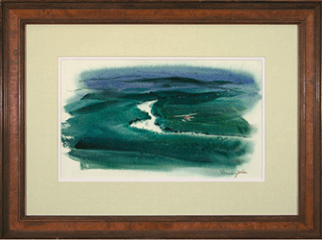 We specialize in 19th and 20th Century American art with an emphasis on historical art of the Northern Plains. The Gallery also displays paintings of the Taos Society of Artists, Rocky Mountains, Hudson River and California Schools. Thomas Nygard Gallery brings both buyers and sellers together in a professional environment. Now in our twenty-fifth year of business bringing unparalleled connoisseurship, scholarship, and personal service to the public, corporations and institutions worldwide. 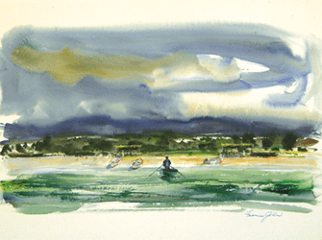 Collectors rely on our gallery standing behind its guarantee of authorship of artwork. Clients are given a full curatorial report as well as detailed information on the artist. Acquiring a work of art is a very personal experience; our goal is to keep our clients long term collecting interests in mind. We not only assist in the initial acquisition of artworks, but can also help out when the time comes to upgrade, liquidate or reevaluate the emphasis of a collection. Sellers can be confident the Gallery will pay a fair and competitive price for individual pieces, collections or estates. Additionally, we can consign works for sale at competitive valuations. Respecting the privacy of the buyer and seller is a foremost consideration. We protect are clients anonymity but at the same time provide a respected and highly marketable venue you can depend on.